If you would like to move your project to another team it’s very simple to do. 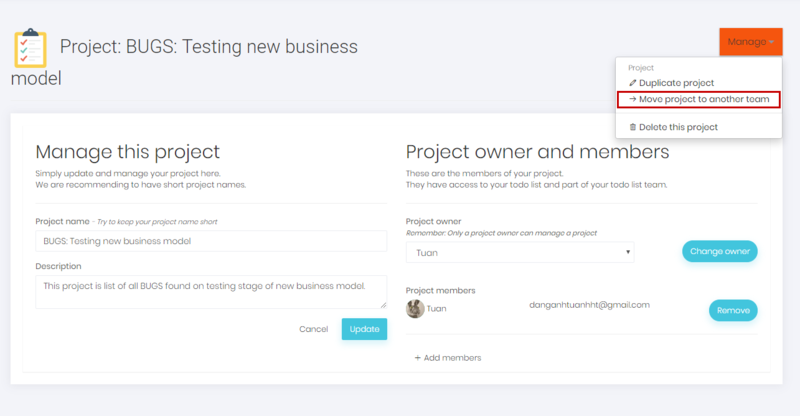 Simply go to My account and then select projects. 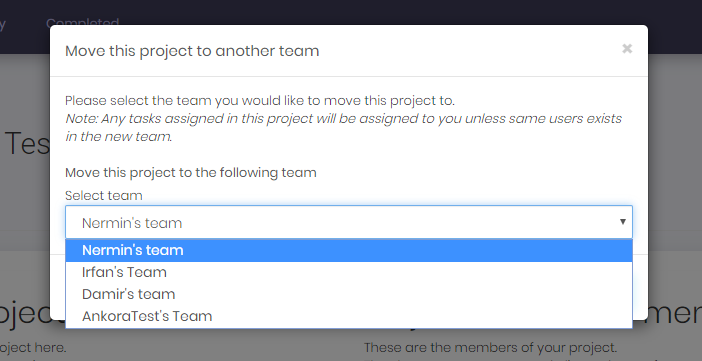 Then select the project you would like to move from the list. You must be the project owner of the project you would like to move. And the in the popup select the team you would like to move this project to and that’s it.